SINGAPORE, 7 May 2015 – DFS Group, the world’s leading luxury travel retailer, today opens its spectacular new wines and spirits flagship duplex store – the first of its kind in the world – at Singapore’s Changi Airport Terminal 3. At 11,400 square feet across two floors, the store is DFS Group’s largest single retail space for wines, spirits and tobacco. The opening of the store marks a milestone in DFS’ leadership and innovation in retail, and the realization of a new vision for retail at Changi Airport. 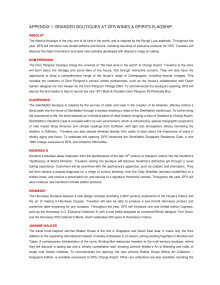 Philippe Schaus, CEO and Chairman, DFS Group, says, “When we embarked on this unique project, we wanted to offer Singapore, the most renowned travel destination in South East Asia with the most modern airport, a wines and spirits store of a quality and richness unlike anywhere else in the world. That is why we secured the collaboration of Masamichi Katayama to build this one-of-a-kind, two-level experiential store, drawing inspiration from the most stylish bars and restaurants around the world as well as on the traditional and historic cellars of France and Scotland. 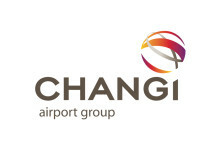 This project would not have been possible without the close collaboration and shared vision between DFS and the farsighted management team of Changi Airport." DFS’ LOYAL T customers can access The Lounge by DFS for an elevated shopping experience. From private viewings to new personal shopping across all product categories of DFS, Changi Airport stores, customers will be treated to a highly personalized level of service. 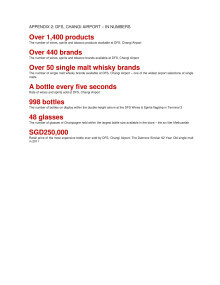 Across all its stores at Changi Airport, DFS has expanded its assortment – one of the largest in the region – to over 1,400 products from over 440 spirits, wines and tobacco brands, while maintaining the region’s lowest duty free prices, with savings of up to 70 per cent off city prices. In wines, DFS offers over 150 different wines including top vintage wines through the Cellar Master Guarantee, a unique service that ensures the provenance of the wines, sourcing directly from a winemaker’s cellar stocks. 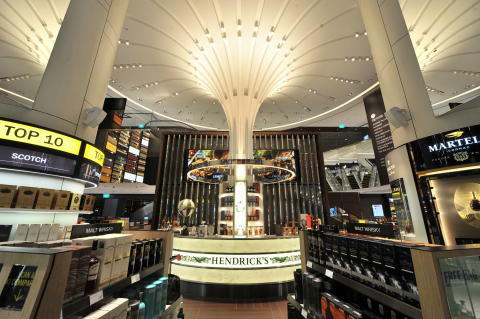 In spirits, DFS offers one of thewidest airport selections of single malts, with over 110 products from over 50 brands. A range of exclusive single casks through a partnership with the Scotch Malt Whisky Society is available alongside brands such as Kavalan from Taiwan, and a range of Japanese malts such as Hakushu and Yamazaki. To appeal to collectors, the range also includes highly-collectable whiskies from closed distilleries, such as Port Ellen. In celebration of Singapore’s 50th anniversary of independence, DFS will also introduce exclusive products from The Dalmore, D.O.M. Bénédictine, Jack Daniel’s and Johnnie Walker. Lee Seow Hiang, CEO of Changi Airport Group, said, “We are delighted to see the first-ever wines and spirits duplex store open its doors at Changi Airport. The store – with its stunning façade and double volume grandeur – is not only a design showpiece on its own, but the extensive range of products and unique boutiques truly enhance the overall retail experience. It is in keeping with the DNA of Changi Airport where service is personalized, stress-free and positively surprising.